Your shift is almost over, one hour to go and only three hours of work left. Push it off until tomorrow, you will have more time then, right? We’ve all been there, but with four simple words you can flip this situation on its head. Don’t hesitate, don’t procrastinate. That’s it. Give time sensitive projects priority and then do them in a timely, accurate way. Everything that is worth doing is worth doing now. Putting off a dreaded task for another week, another day, even an hour won’t make it any more pleasant, just more immediate. And besides, it’s all in your head anyway. 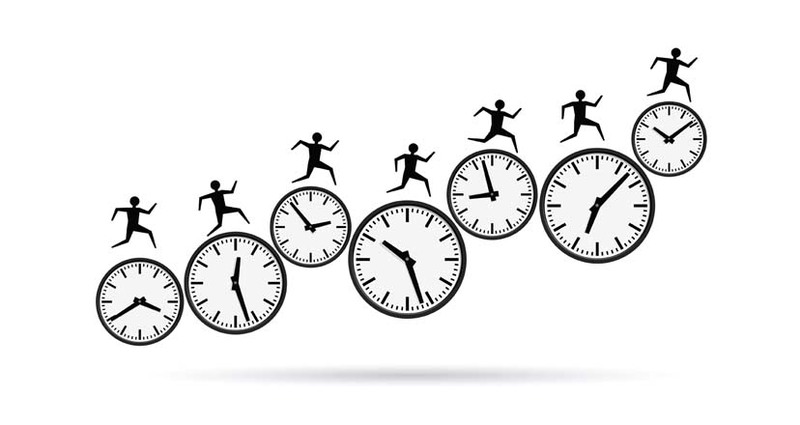 Time management skills don’t exist, it is self-management. As much as we might want to, we cannot speed up, slow down, or alter the flow of time in any way so managing time is really just managing yourself. The toughest critic most of us face, and the biggest time-sink in our private and personal lives, is ourselves. Some tasks don’t need to be done perfectly; they just need to be done. Murphy says “There is never time to do it right, but always time to do it over,” and a lot of us unknowingly subscribe to this belief. Through a conscious effort to not hesitate, and not procrastinate, you will be amazed by how much time you have left to ensure your work is done right, on time, the first time, and every time. It’s Friday, your shift is half over, it’s not even lunch time and you have nothing to do. Maybe you can duck out early and see the friends and family, get the weekend started a little early. Sure beats Farmville at 2:00 PM, or mashing refresh on Facebook, right?